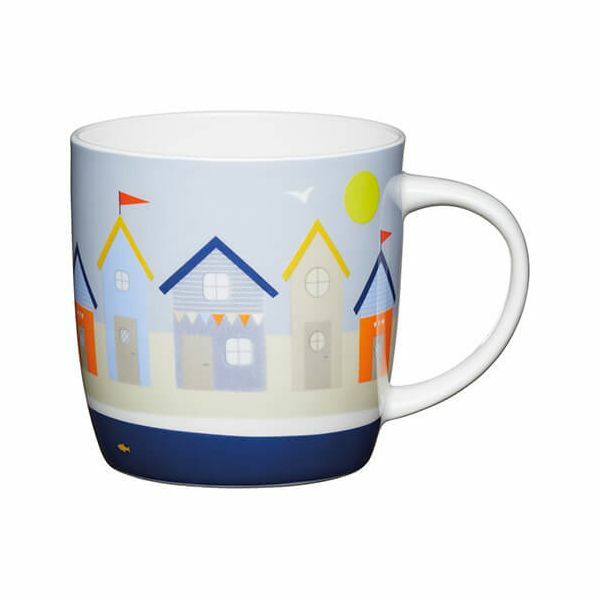 This KitchenCraft china mug has a 425ml capacity and features a beach hut design to brighten up your morning tea or fresh coffee. The bright and colorful design of this KitchenCraft mug is perfect for giving as a gift or for home as part of a matching collection. Could you please state the dimensions of this mug. Thank you.